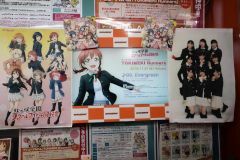 Between November 1 and November 10, 2018, there was a Love Live School Idol Festival Mini Kanshasai at Akiba CO Gallery. 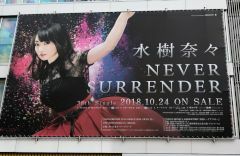 At the end of October 2018, there was a large advertisement on the wall of Radio Kaikan for the latest single by Mizuki Nana. 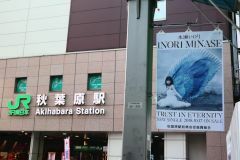 In the middle of October 2018, there were tapestries on the south side of JR Akihabara Station for the latest single and bluray by Minase Inori. 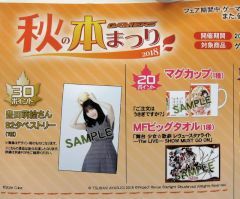 In the middle of October 2018, there was an outfit exhibit in Gamers for the live bluray by Minase Inori. Between September 28 and November 4, 2018, there was a book fair at Gamers. 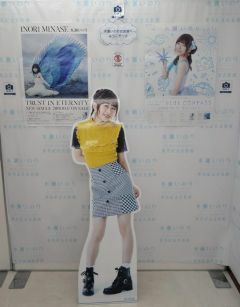 Those who bought over 2000 yen of books got 2 points, and the points were redeemable for various seiyuu and anime goods. 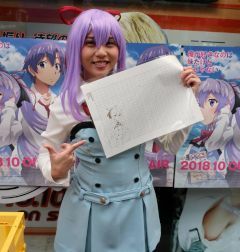 On October 13, 2018 there was a cosplayer in front of Toranoana passing out some goods for the TV anime Ore ga Suki nanoha Imouto dakedo Imuto janai (俺が好きなのは妹だけど妹じゃない). 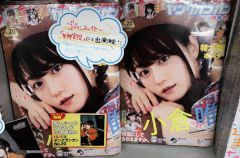 Ogura Yui was on the cover of Young Gangan vol.20.